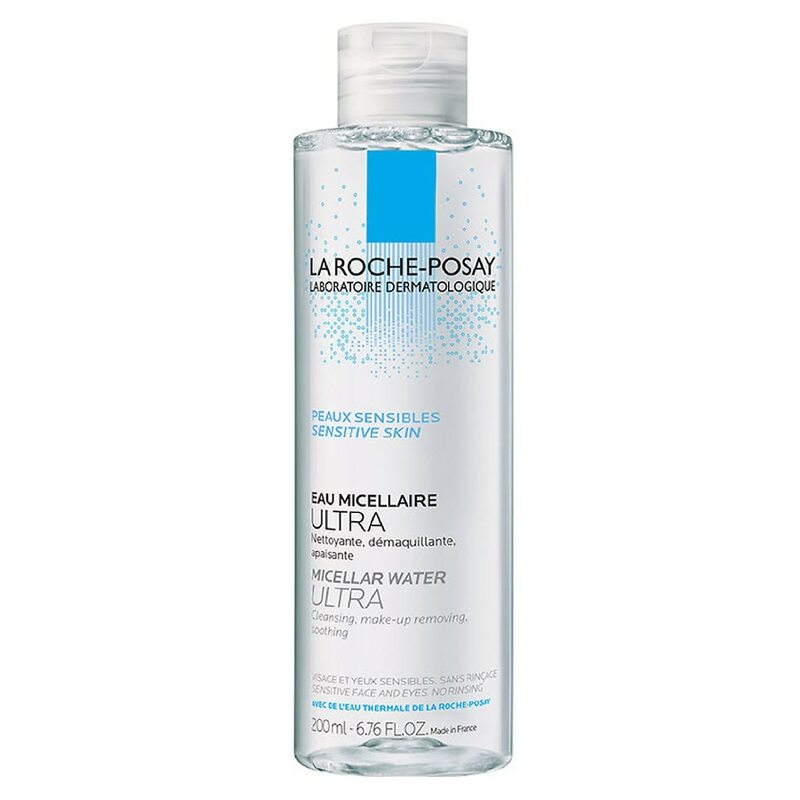 La Roche-Posay Cleansing Micellar Water Ultra for Sensitive Skin is a no rinse face wash micellar technology that removes makeup and impurities from your skin, even pollution particles. Micellar cleansing water removes 99% of long wearing foundation. Micellar water contains: Dirt-encapsulating micelles: naturally lift dirt, oil, makeup, and pollution upon contact with the skin and no harsh rubbing necessary. Poloxamer: a mild cleanser so gentle it is used in contact lens solution. La Roche-Posay Thermal Spring Water: antioxidant-rich water to soothe skin. Glycerin: hydrates the skin. Micellar cleansing water is suitable for all skin types.